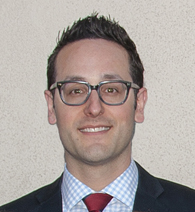 Dr. Corey Frucht, M.D., Ph.D.
Dr. Frucht is a board-certified medical, surgical, and cosmetic dermatologist. A New York native, Dr. Frucht earned his M.D., Ph.D. and M.Phil. degrees at Yale University in Connecticut prior to relocating to Santa Barbara, where he completed an internship in Internal Medicine at Santa Barbara Cottage Hospital. He then completed dermatology residency at the University of California, San Diego (UCSD), in La Jolla, CA. While at UCSD, Dr. Frucht developed a particular interest in the use of lasers, skin tightening devices, dermal fillers, and Botox for skin rejuvenation, with an emphasis on obtaining natural results. Dr. Frucht has published numerous peer-reviewed articles and presented at national conferences. He is a member of the American Academy of Dermatology, American Society for Dermatologic Surgery, and California Society of Dermatology & Dermatologic Surgery. 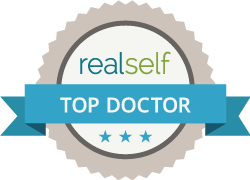 Dr. Frucht has been recognized as a "Top Doctor" on the cosmetic website RealSelf. Dr. Frucht provides comprehensive dermatologic care with expertise in screening for and managing all forms of skin cancer, as well as treating inflammatory skin conditions such as eczema, psoriasis, and acne, and is trained to use biologic and other systemic therapies when necessary. Dr. Frucht has extensive training in cutaneous surgery including Mohs micrographic surgery and in the use of lasers, dermal fillers, and Botox for skin rejuvenation. In his spare time, Dr. Frucht enjoys playing guitar, writing music, cooking, camping, traveling, and spending time with friends and family.